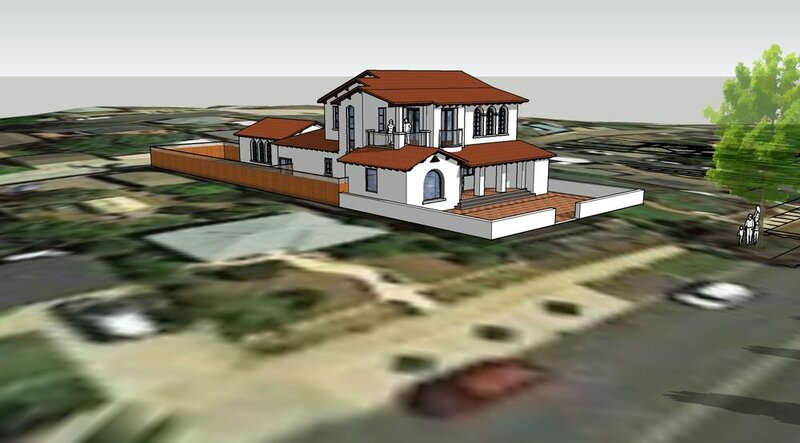 Extensive remodel of an existing, one-story single-family home, including the addition of a 1,000 SF second floor and a 500 SF attached garage. Designed in a Spanish Ecclectic style, the remodel focused on improving the flow of the home by creating a "Great Room", with an open Kitchen, Dining Area and Living Room, a new Pantry, and a new covered porch and entry from the street. 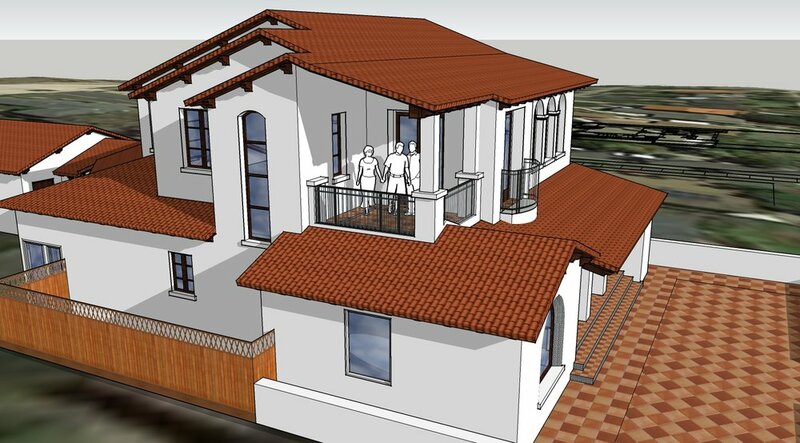 The second floor addition features a Master Suite, two additional bedrooms, laundry room, sitting room and covered balcony with views to the Pacific Ocean.